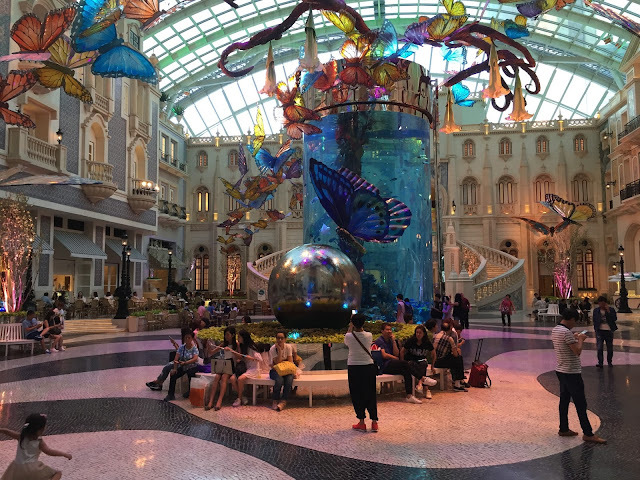 If you are heading to Macao anytime soon and are looking for a place to stay, you can definitely consider MGM Macao. Known for its attention to detail and its luxurious hotel setting, the 5-star hotel would be everything you've ever dreamed of. It even has an 8 metre tall cylindrical aquarium sitting in the middle of the hotel lobby! The hotel lobby resembles the Grande Praça, the central plaza of the hotel that’s been designed to mimic Lisbon’s iconic central train station. The hotel has a great emphasis on art, where it even has dedicated spaces showcasing the newest and greatest art works. 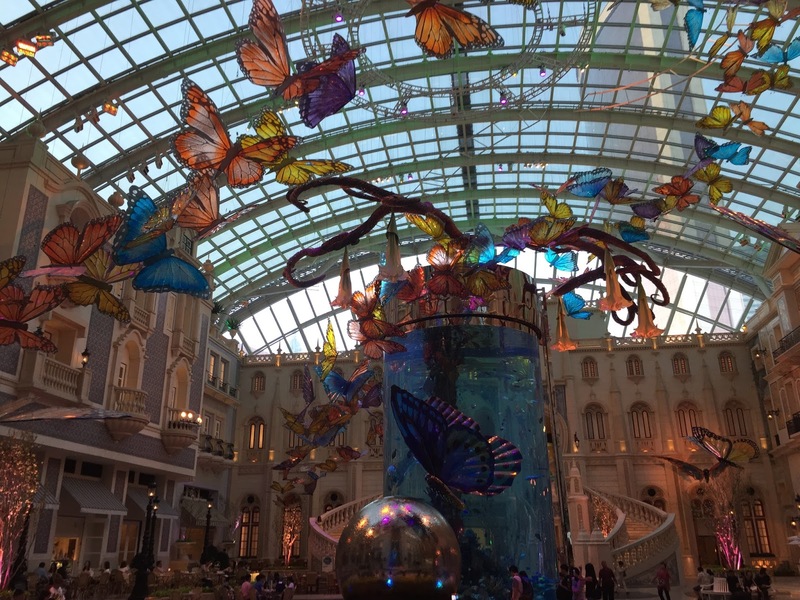 The artwork in the central plaza changes periodically, and it is currently adorned with 160 glass butterflies designed by renowned display artist, Stephen Stefanou. The 5-star hotel sits on the prime waterfront estate, and here, you will be greeted with a gorgeous view of the skyline in every room. We stayed in the Grand Deluxe Ocean View Room which features a room measuring at 48 square meters. The spacious room was divided into 3 segments - the bedroom, a small living area as well as a bathroom - all of which were well-furnished with the best living amenities. Below the LED TV also lies the Mini bar which is always well stocked with snacks and beverages - including Macao beer! The bed was extremely comfy and luxurious, and it was nice to also be able to control the lights in the hotel right from the bed. Wardrobe with hairdryer, a safety deposit, blankets and robes! Bathroom with bathtub and shower area. The bathroom came with a double sink, amenities like soap, shampoo, a free-standing bathroom, a rain shower and a toilet. The view from my room at MGM Macao. Complimentary breakfast for hotel guests! Other than the complimentary hotel breakfast for guests (their eggs are amazing, btw!) Guests can also dine at the Imperial Court which serves classic Cantonese fares, prepared with the freshest seasonal ingredients, as well as authentic and traditional techniques. This post was written in collaboration with MGM Macao. 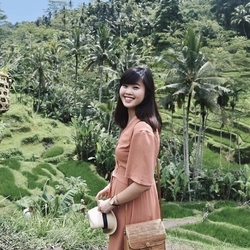 come on the double to spend a dazzling unwinding occasion in a rich ocean see shoreline lodging with considerate conveniences, extravagant garden view and ocean see rooms, heavenly cooking with scrumptious fish claims to fame and more to spoil and ruin you with delight!